It’s here! Get recognised for the work you do as an IRIS Connect Leader by becoming IRIS Lead Certified. We’re now accrediting IRIS Leaders and IRIS Connect users for the work they do in schools. We know that so many of you are doing fantastic things, so we’ve built this certification system to recognise and celebrate the inspiring efforts across our community. …Oh, and did we mention? It’s completely free! What does IRIS Lead Certified mean? If you choose to become IRIS Lead Certified, you will receive an IRIS Connect certificate to verify your position upon completion. You will also receive exclusive invitations to IRIS Leader events and conferences as well as priority communications with updates from the community. Becoming IRIS Lead Certified shows ambition, an appreciation of the principles behind change management and how to put these into practice. Previous IRIS Leaders have gone on to complete qualifications in senior school leadership such as the NPQSL and the NPQH. 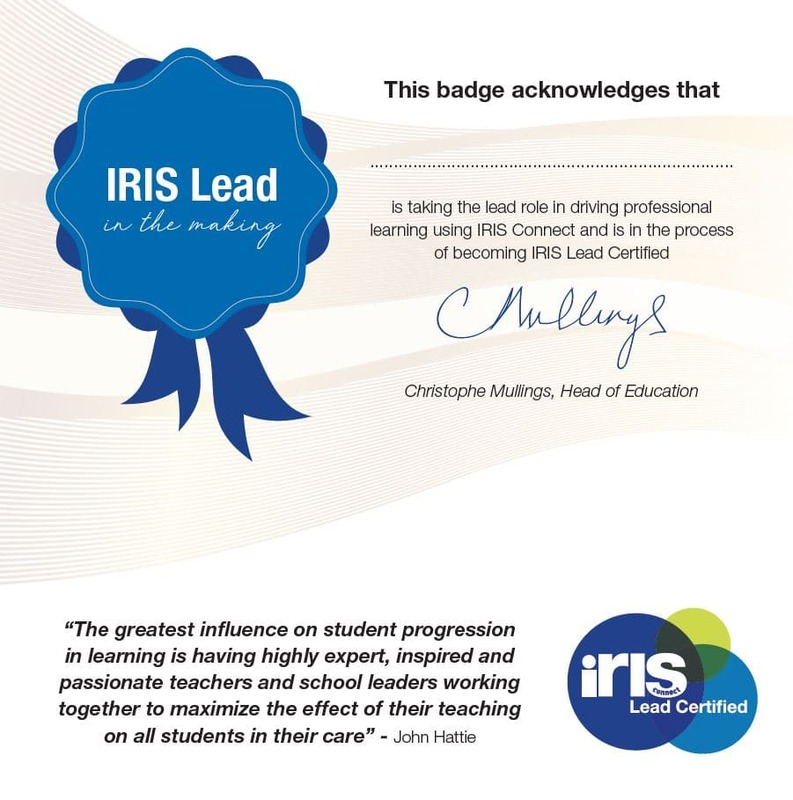 Ultimately, if you are passionate about improving outcomes for learners on a wider scale within your organisation – becoming IRIS Lead Certified will award you recognition for implementing and sustaining a powerful professional learning tool. Once you become IRIS Lead Certified, you can show off your certificate on your portfolio, CV, LinkedIn and even your school’s website. For more info or to get started login to your account and visit the IRIS Lead Certified Group by clicking the button below.